Everyone’s favorite green-haired five-year-old is back! 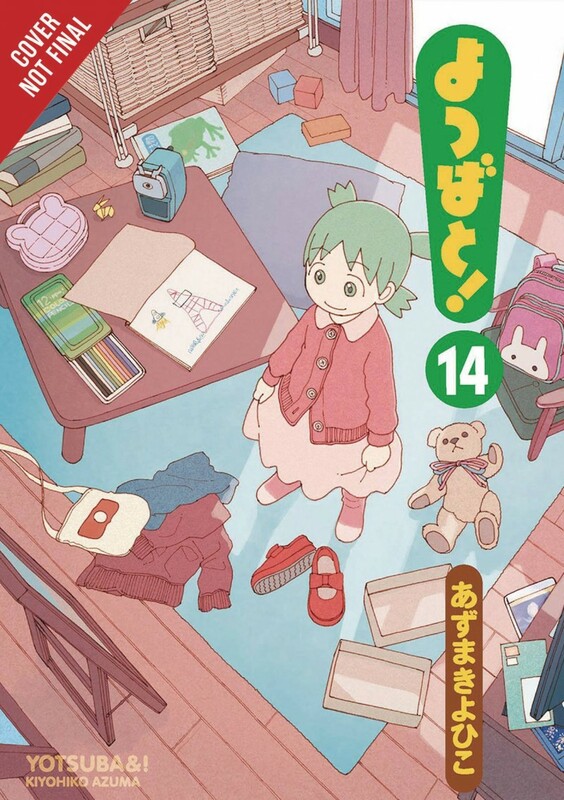 And this time, Yotsuba’s expanding her horizons by taking a trip to the big city with her dad! The giant amusement park of Tokyo—with all its trains to ride, neighborhoods to explore, and fancy lunches to eat—promises heartwarmingly hilarious adventures in this long-awaited volume!